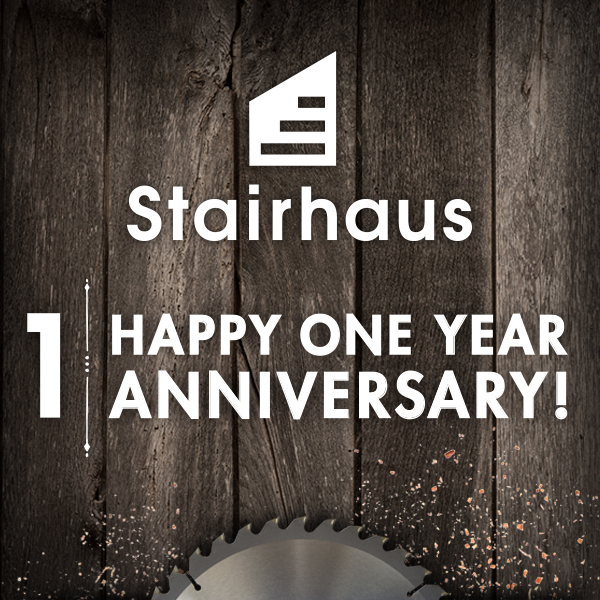 It's been one year in business for our friends at Stairhaus Inc, and we couldn't be prouder of the boys! By all accounts, they've been super busy all year designing and installing the best stairs and railings in the area, and we'd like to think we were just a small part in their success. We designed their brand and their website back in February 2015, and they have used them well. Congratulations on your first year of business, Stairhaus — here's to many more! You like movies? We make movies! Indian Handcrafts are playing a few shows this month. Here's a video to prove it. Three respected Psychotherapists have joined forces to start their own therapy centre, Simcoe Trauma Recovery Clinic (STRC). They offer people the chance to heal their past traumas, using various therapeutic techniques; the most important and effective being Eye Movement Desensitization Reprocessing (EMDR), a revolutionary therapy developed thirty years ago to help victims of emotional trauma effectively heal their brain. It's been an amazing journey learning all about how they can heal people from trauma — physical, emotional, and psychological events that have completely shaped one's life. 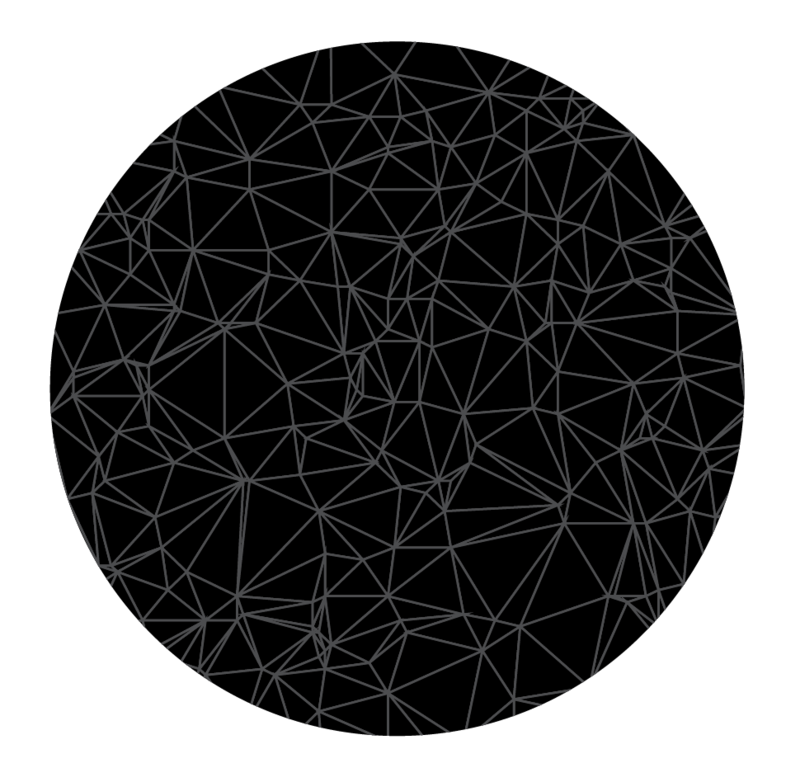 The polygon outlines, created with a custom triangle generator program. We concluded that a rich pattern of polygons — in this case, triangles — would best represent our idea about the brain's complexity. Each line of each shape can represent a connection between synapses, which are the integral part of the brain's structure and function. To create this seemingly randomized shape, we used a triangle generator program. By inputting the colours and amount of angles, the computer created the above group of shapes. Gotta admit, there's a certain amount of randomness to the process, allowing the computer program to generate the shapes for us, while controlling a margin of variables. This makes for a truly unique shape that would be near impossible to reproduce again, while allowing us to avoid the painstaking process of actually drawing out each triangle ourselves — the hours for which our clients could not afford, nor could our patience. Modern technology is great! STRC.ca – hosted by Squarespace. Please take a moment to visit their site, and if you are in the Simcoe County area, keep their service in mind for someone who may be in need. STRC offers many forms of therapy, and can be covered by some insurance policies. Enjoy, and be well! 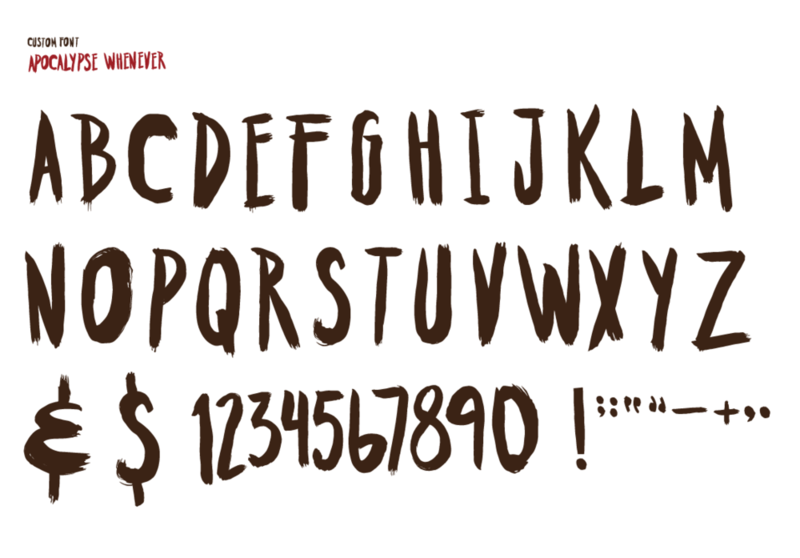 Other logo and colour variations, etc. 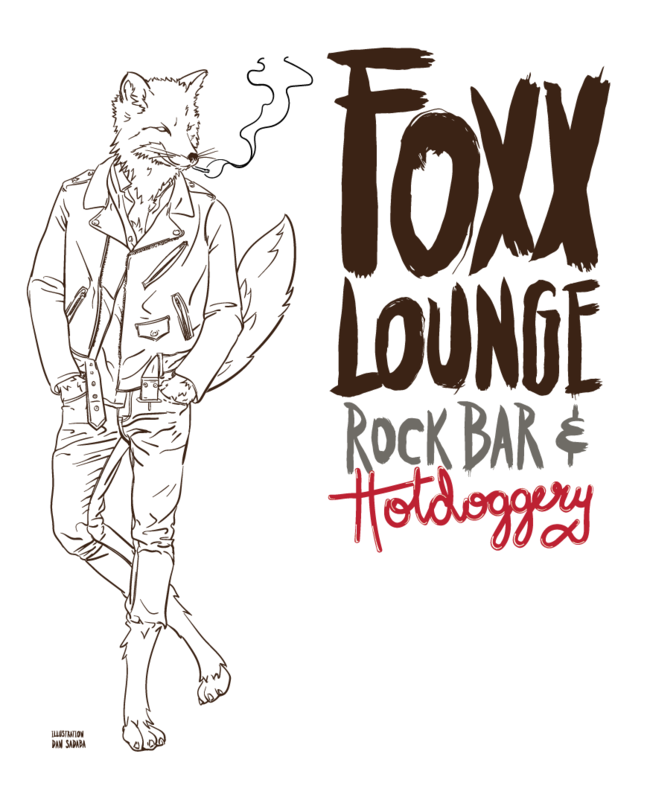 An old rock and roll establishment in Barrie has recently moved to a great new location downtown, and they asked us to work on a rebrand. So here is our "Handywork" – a new logo featuring hand-drawn lettering (turned into custom font called Apocalypse Whenever), and a colour palette based on the toothsome world of the hotdog. We even hired our old friend, Dan Sadaba to do a little illustration work. Good times! Hey there folks! Haven't made a blog post in a while, because, well, we've been busy working dammit! 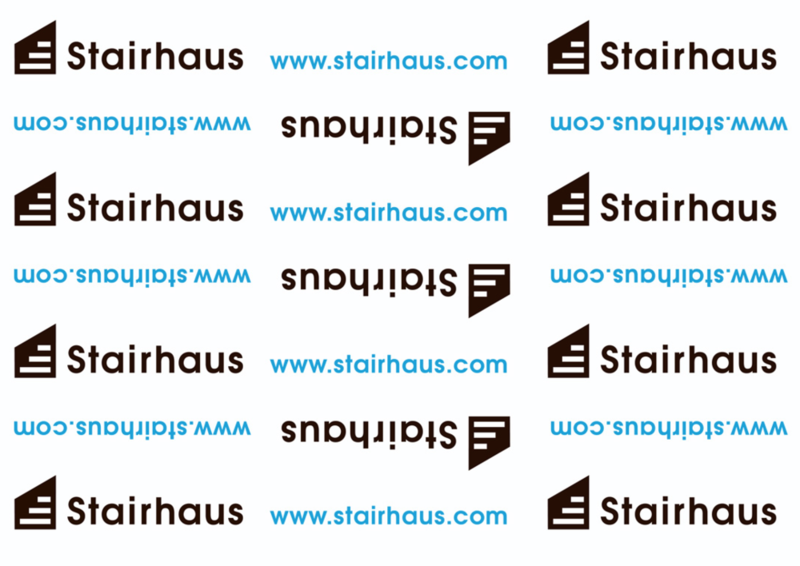 Earlier this year we created a brand package for our friends at Stairhaus Inc. -- a new company here in Barrie who specialize in designing and constructing stairs of all kinds. We're really excited for these young guys as they start their new business, and strive for a high quality of workmanship that is often lost on larger companies in the trades. We wish them all the best, and stay tuned for their new website (www.stairhaus.com) designed by DC and hosted on our favourite web platform, Squarespace ... coming soon! The idea was to keep it simple. A modern look to emulate their European influence, and a symbol that is versatile, structurally sound, and multilevelled. Just like a beautiful set of stairs. Huh? You don't know about beautifully designed stairs? Dudes, Google it. Temporary splash page. Construction pun. Stairhaus product paper wrap. Can also be used as gift wrap, like if you buy your wife a new set of stairs or something. We've had the good fortune to work with some of the top companies in Canada, and it's an incredible ongoing experience for us. Some of the most rewarding work, however, is helping small start-ups get off the ground. At Design Cabin, we understand the difficulties of building a business from scratch. The hours are usually long, the teams are usually small, and the budgets are always tight, especially when it comes to expenses like design and branding. We see a lot of young companies make some common mistakes in the early days of their operation. Often they'll try and handle the branding of their organization internally to save some money, or, lacking the know-how to handle such things in-house, they hire the work out to the cheapest designer they can find. Neither solution is particularly effective in fostering the long-term success of a business. That being the case, we're offering an alternative to one lucky business or individual out there. Design Cabin is asking for submissions for the first ever Pro Bono Brand Project. We're looking for deserving entrepreneurs and small businesses in need of a brand or a rebrand, and if selected, we'll design it for you! Individuals and businesses can nominate themselves, or you can nominate a business or individual you know. So that's about it! Neat, right? The nomination form is below, and even if you don't have a submission, please share the project across your various social media outlets so as many businesses as possible get a chance to submit. Enter a brief summary of the Nominee, who they are, what they do, how to contact them, any other relevant information, website url, etc.